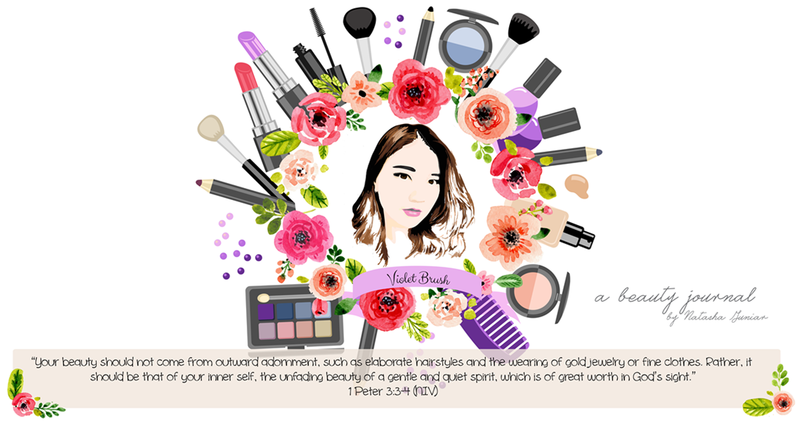 Violet Brush • Indonesian Beauty Blogger: Moisture + Sebum Control in One Product, Why Not? The launching event was held at JJ Royal Bistro, Senayan City and was opened with short speech from The Face Shop Korea representative, Mr. Paul. He said that in 2014, The Face Shop has became one of the best selling cosmetic brand in Korea. 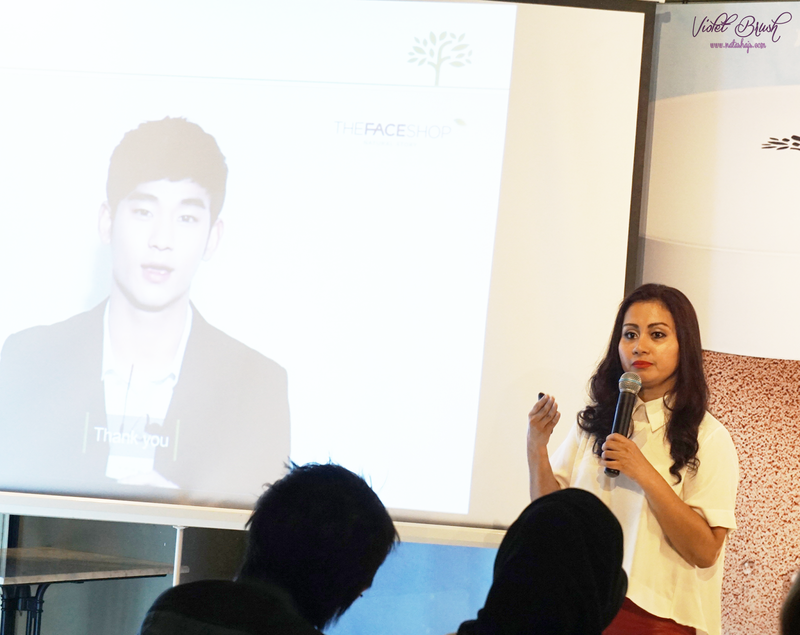 Continued with short introduction of The Face Shop's new brand ambassador by Ms, Shella. Could you guess who he/she is? /drum rolls/ Yes, it's Kim Soohyun, replacing the previous brand ambassador Suzy. Ms. Yeni as the brand manager of The Face Shop Indonesia continued the event with the introduction of the cushion launched that day, Oil Control Water Cushion. As I said at first, those of you who have oily skins, worry free. 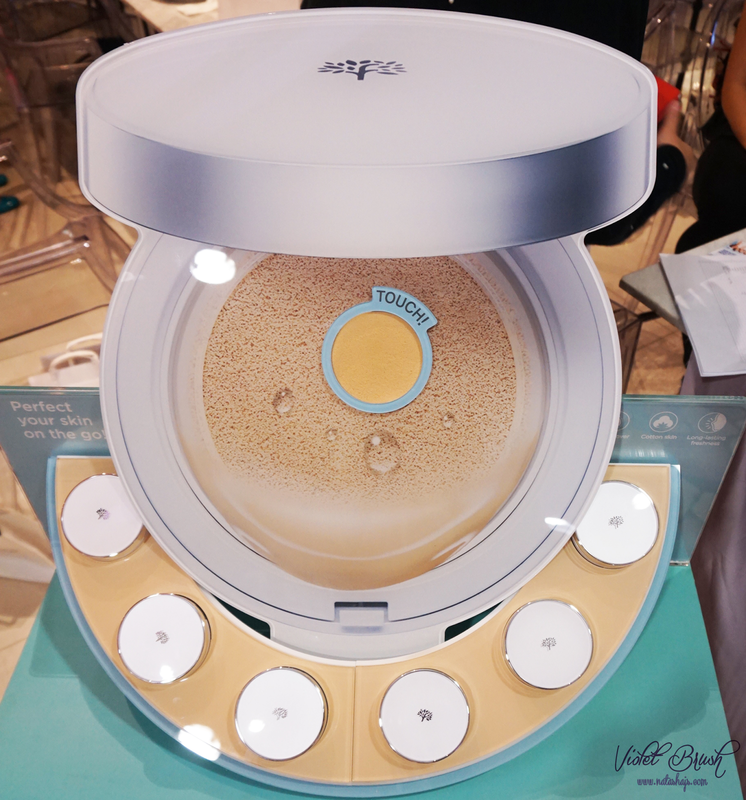 The Face Shop's recent Oil Control Water Cushion has moisturizing effect and sebum control at the same time. With water as its main ingredient, Oil Control Water Cushion could control excess sebum yet moisturizing at the same time. Moreover, it's super lightweight, non-sticky, and refreshing on the skin! In addition to that, as we all know that cushion is very practical. It's easy and quick to use anytime and anywhere. The SPF 50+ PA+++ inside also adds its efficiency, especially to college students and career women who usually don't have much time in the morning. Last but not least was the makeup demo by Ms. Desy using the Oil Control Water Cushion. 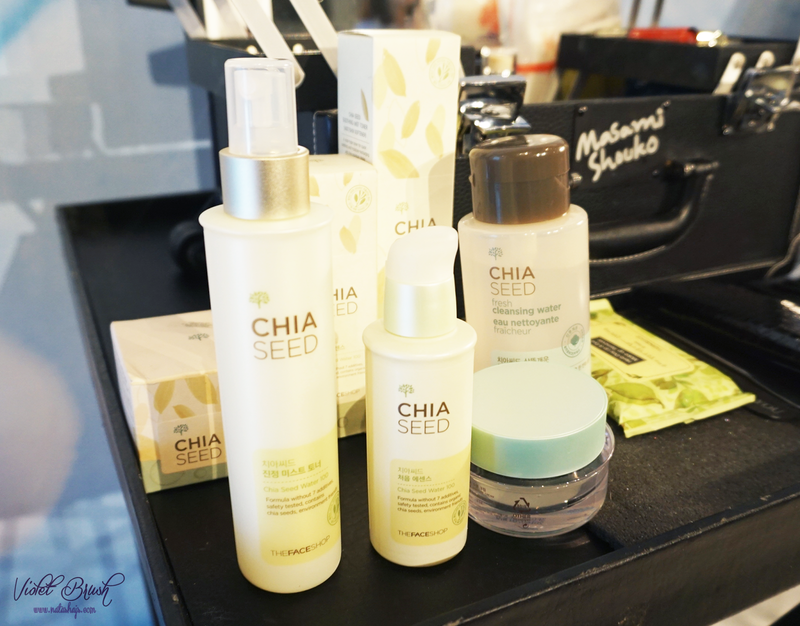 Before makeup, Ms. Desy applied skin cares from The Face Shop's Chia Seed series which is formulated for oily skin. I definitely eyed the toner in spray form. The event was closed with some quiz, lucky draw winners, and also photo session. 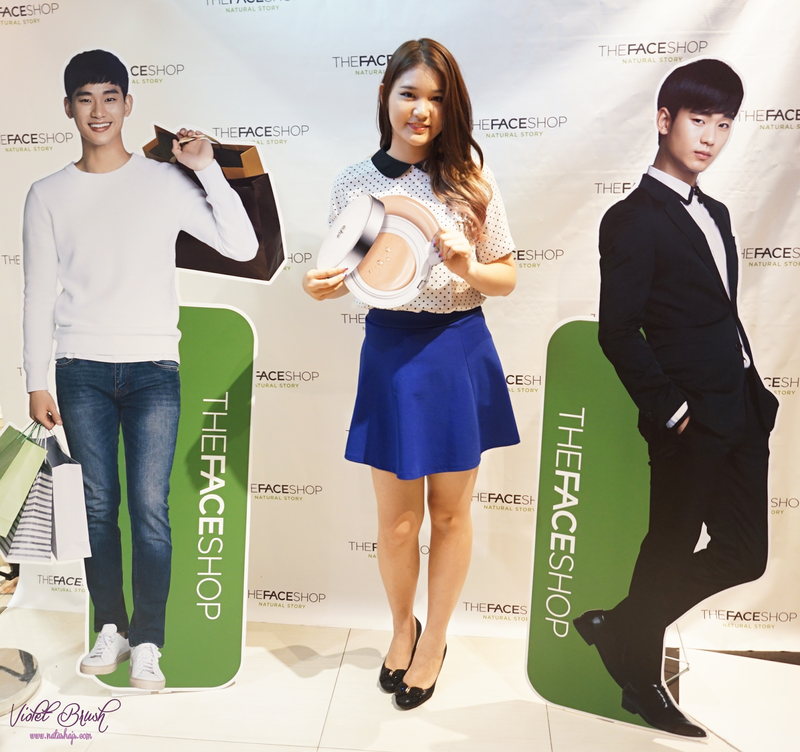 Beside the launching event, The Face Shop also provided a photo booth with life-sized Kim Soohyun placards, free skin consultation and makeover. I mean, who can resist to take photo with "Kim Soohyun", right? Last but not least, selfie frenzy with fellow bloggers. Can you spot the Oil Control Water Cushion? Review here. Thank you so much for having me The Face Shop Indonesia & Kawaii Beauty Japan! Masih di Indo ya ci? Kirain udh kuliah dinegeri sana hhehhe. Acaranya kece abis, coba ada KSH nya yg real ya pasti tambah betah ga pulang2 xD. bagusan panjang ya ci? :"
I was looking for something like this and I am very glad to see such amazing information here. I'll be looking forward to your suggestions..